Perfectly Pressed - The Marketing Department, Inc. The team at TMD had a great time working on this site. The client has an amazing product, which we had been fans of long before we started working with them. This one page site does a great job of showcasing what Perfectly Pressed offers, including a featured product, telling you about the company and its vision, and finishing with contact information and the addresses of their two locations. 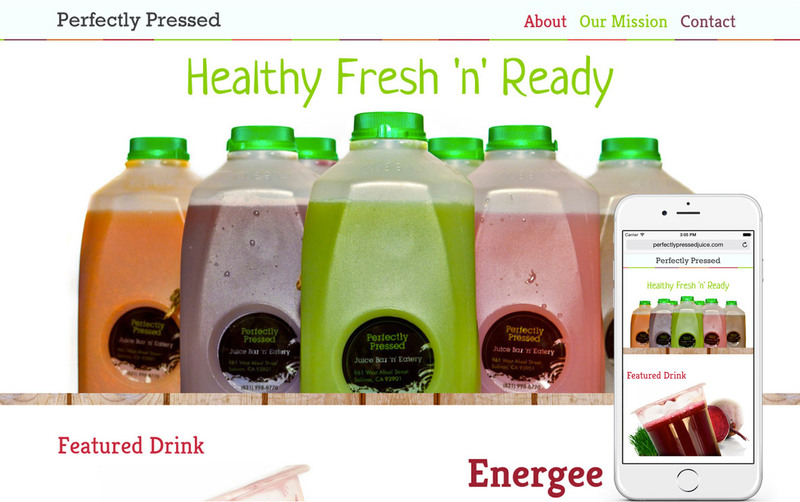 We created a one page animated custom website for Perfectly Pressed.